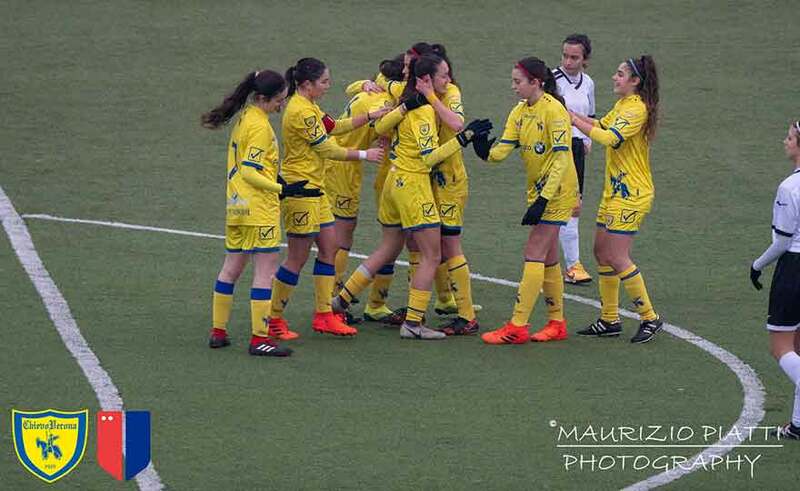 The best start of 2019 could not be for ChievoVeroona Valpo Spring, which yesterday, between the friendly walls of the Olivieri Stadium, was set with a clear 6-0 on the Castelvecchio Cesena. The gap between the two teams has already emerged in the first half, a fraction in which the Gialloblù have inexorably directed the dispute thanks to the seals of Lonati, Zoppi and Bonenti. In the second half a new high score from Zoppi and the goals of Olivini and Maffei have defined a final result that, thanks to the victory of Tavagnacco on the Fortitudo field, projects the Clivense collective to the second place of the 2 Group in cohabitation with only Hellas Verona Women. These are the considerations of Mattia Pasotto, coach of Chievo: "We played an undertone subtly despite the partial 3-0 - analyzes Pasotto - and I think this was due to an attitude a bit 'too much and to the fact that we had been standing for a month and a half. In the second half, however, the girls have played much better, developing good game plots and undoubtedly creating more scoring opportunities. I want to congratulate Cesena, a team with an average age of less than two years compared to ours, but that nevertheless has never given up until the ninetieth. " A Valpo that next Sunday will be awaited by the highly acclaimed derby against Hellas Verona Women: «Last week we trained in a limited number due to influences and injuries - the assistant coach concludes - and yesterday we recovered some players, but not at 100%. In view of the derby we will have to be full, also re-embracing Giorgia Marchiori, a veteran of a cruciate ligament that kept him in the pits for six months. "